British Overseas Territory St Helena Airport was granted an ‘open ended’ Aerodrome Certificate on Monday, on 3 April 2017, following the visit by experts from the Air Safety Support International. The airport is crucial for the development British Overseas Territory St Helena Airport was granted an ‘open ended’ Aerodrome Certificate on Monday, on 3 April 2017, following the visit by experts from the Air Safety Support International. The airport is crucial for the development of the island in mid Atlantic. “The recent visit by the Air Safety Support International (ASSI) Senior Aerodrome Inspector, Justin Rothwell, and Air Traffic Services Inspector & Safety Development Specialist, Sarah Lee, was part of routine oversight that ASSI takes across all the Overseas Territories, that do not have their own Directorate of Civil Aviation, said Acting Accountable Manage for St Helena airport, Alan Shaw. He added that “It is credit to the Team at the Airport that since the last ASSI visit in October 2015 - the first after the Certification of the Airport in May that year - ASSI consider St Helena to be a mature and safe enough operation that an open ended, rather than time limited, Aerodrome Certificate has been issued. In related news it was announced that plans are underway for the commissioning of the Airport Fuel Facility (AFF). There are stringent requirements when dealing with fuel, particularly with Jet A1 fuel, and it is important to ensure that the fuel systems meet the appropriate standards. In order to commission the AFF, all mechanical and electrical systems have to be checked and verified fit for purpose. The fuel lines will be purged with air and flushed with fuel to ensure that there is no risk of fuel contamination or fuel leakage. Other works like soak testing will follow. If all of these checks are successful, the AFF will be ready for the operational testing. Construction of the Bulk Fuel Installation in Rupert’s is nearing the final stages. A similar process is then planned for commissioning. The checks are numerous and time consuming in view of the size and complexity of this installation. Tags: Air Safety Support International, St Helena airport, St Helena airport calibration flights, St Helena Island. 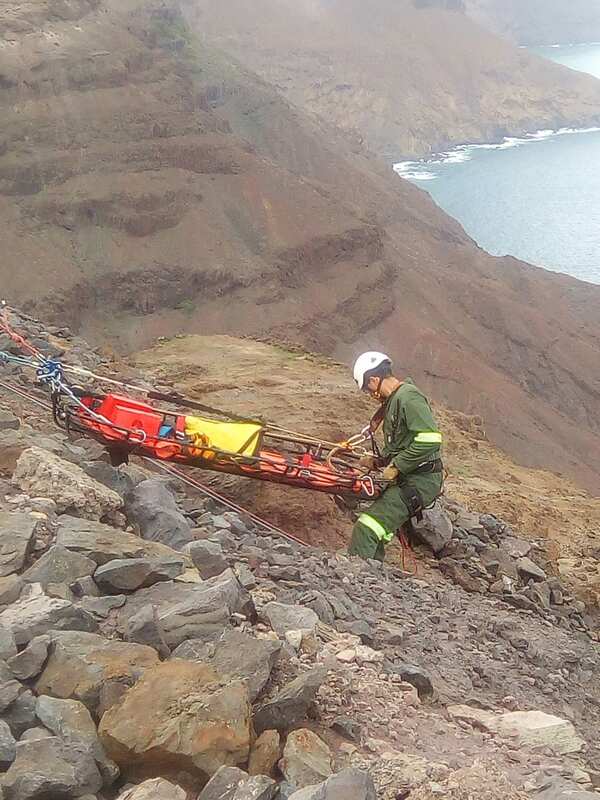 More great progress for St Helena.